After the wall anchor has served its purpose and it's time for the tiny plastic sleeve to leave, removing it from its hole in the wall can be problematic. There are a few tried-and-true ways to remove a wall anchor without causing damage to the surrounding wall. The right tools and an understanding of how the little cylinder works will get it safely removed in no time. 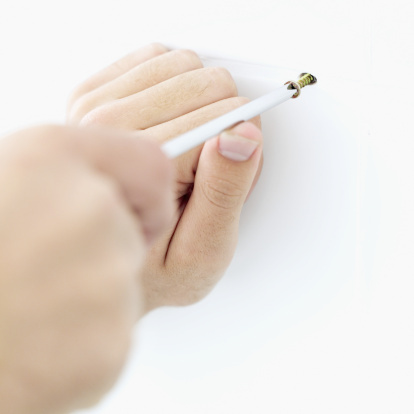 In order to remove plastic wall anchors, you will need the right tools and a gentle hand. A 3/8-inch wall anchor sunk into drywall can hold a whopping 50 pounds or more of an object securely on a wall. The properties that make them perfect for placing in the wall can also make them difficult to remove. Most wall anchors you will encounter are threaded, although there are also straight plastic anchors and winged plastic anchors that are used for larger projects or hangings. Some wall anchors are easier to remove than others. If you are renting a space or don't want to run the risk of leaving gouging marks on a wall after removing a hanging object, these can be a good option. They are just as strong as other wall anchors. Always make sure that you are using the best wall anchor for the size and weight of what you intend to hang. This will make removing the drywall anchors easier. 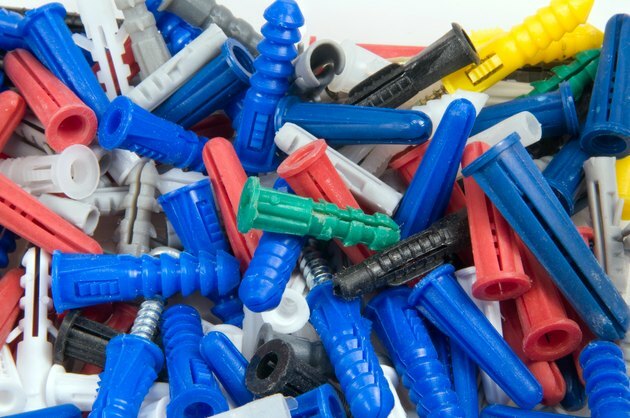 The cylindrical plastic anchors have a hollow center where the screw is drilled in or a nail is pounded into. Once the wall anchor is sunk into a pre-drilled hole in the wall it will expand to hold onto the drywall. Threaded wall anchors use the threads on the outside of the wall anchor casing to get a good grip on the drywall that surrounds it. Taking wall hangers out so that you don't need a handful of putty to make up for the removal efforts and subsequent damage can be tricky. First, assess what type of anchor you have. Make sure you have the correct bit size to remove the plastic wall anchors without stripping them or marring the surrounding wall. After removing the screw, choose a drill bit that is at least two sizes bigger than the diameter of the hole that the wall anchor sits in. If you aren't sure, select a bit that covers the hole and doesn't slip into the cavity at the center of the wall anchor. Center the bit to the hole in the wall and begin to drill. Once the collar is off of the wall anchor, it should slip back into the cavity of the drywall and studs. Don't let the drill bit go too far into the wall or you'll start to tear up the chalky drywall. Use putty to patch up the hole that is left behind before painting.